Hi guys! 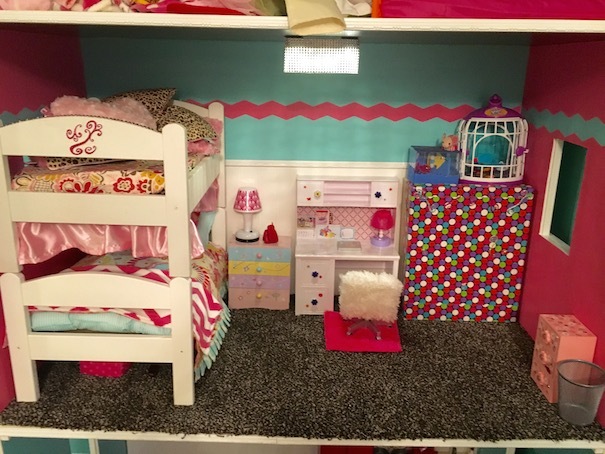 We are here today to reveal the final touches on the Birthday Dollhouse! Now to fill this thing up! 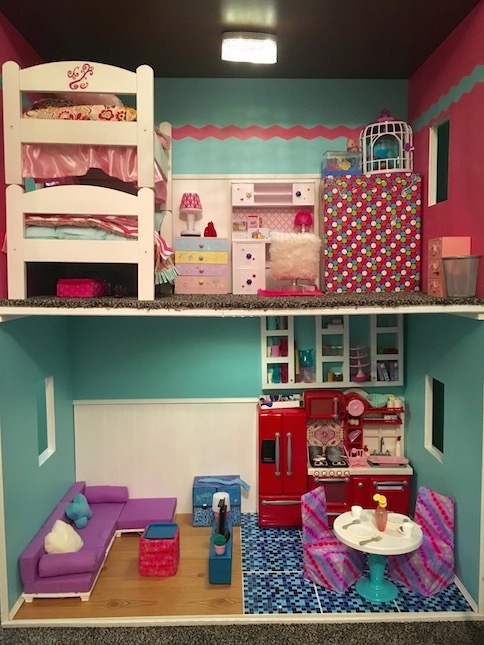 First, the bottom floor was completed with the kitchen and the living room. 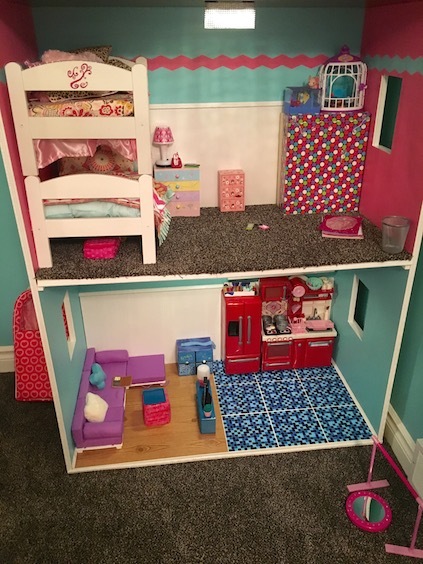 All we had to do was finish the bedroom on the top floor. The first thing that we did was make the bunk beds. 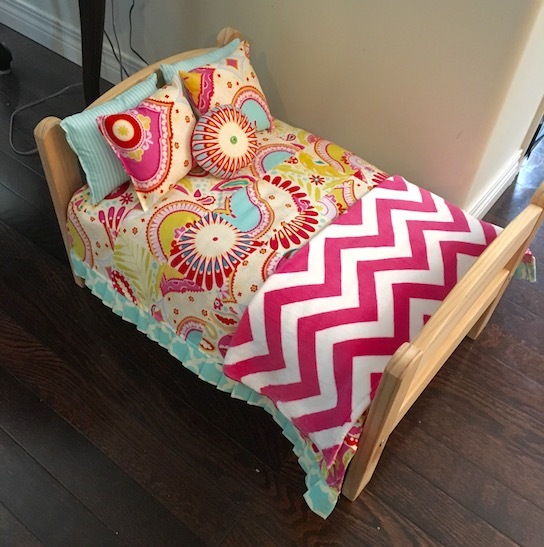 We already had the two single doll beds from Ikea, and I had made some bedding to match the bedding on my niece’s actual bed. 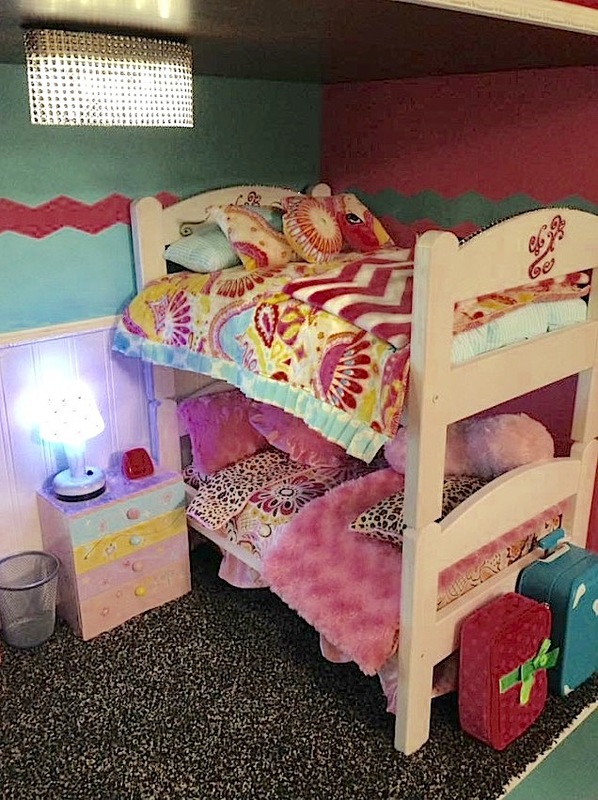 Well, my sister had seen somewhere, all over Pinterest mainly, a way to make the two beds into bunk beds. 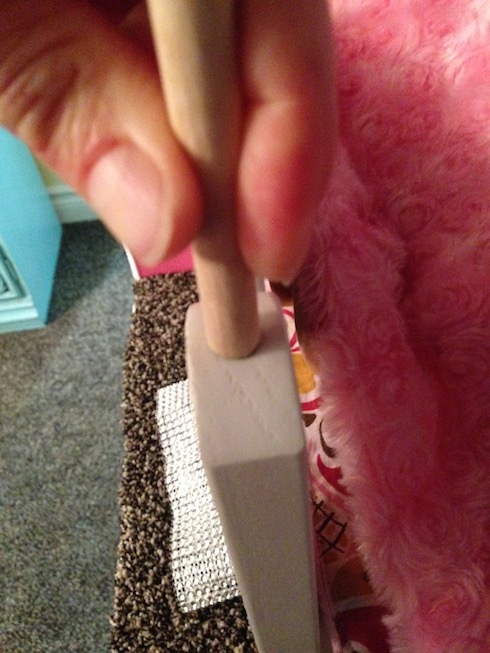 Her plan was to drill holes in the bed posts, and insert dowels. Plan coming to fruition. Don’t you love when that happens all easy as pie-like? 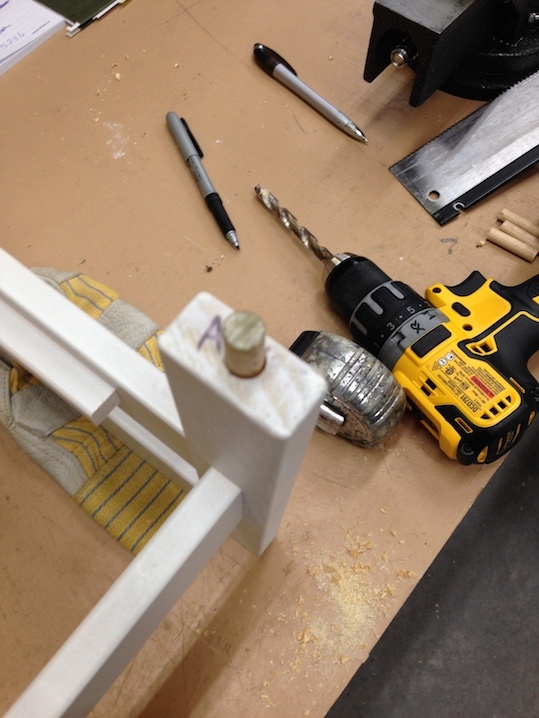 Now the dowel ends fit right snug into the holes drilled in the legs of the top bunk. Even the rounded posts worked like a charm. 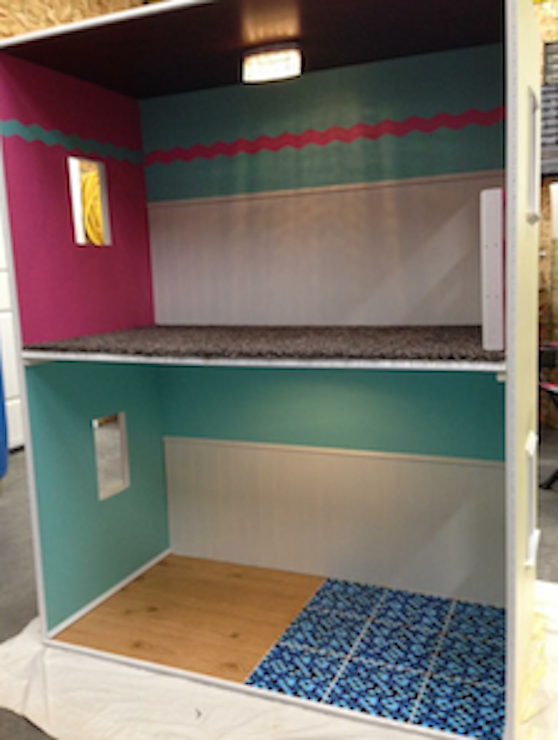 Once we had the bunk beds sorted, it was coming together quite nicely. 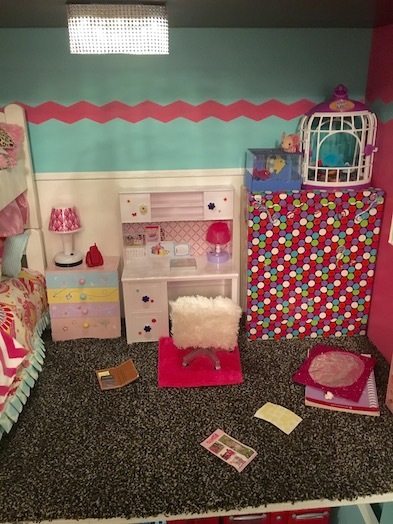 My niece already had a little nightstand that her mom had thrifted, and a wardrobe that she had made a while back. What she really needed was a desk. Insert MyLifeAs desk here. We adore this little desk! 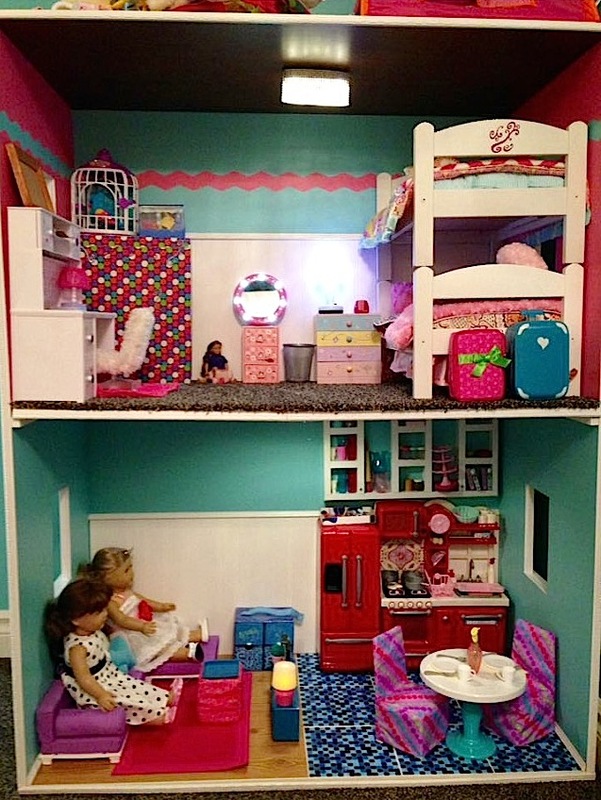 We have the same one in one of the rooms in the mega dollhouse, and we love it! 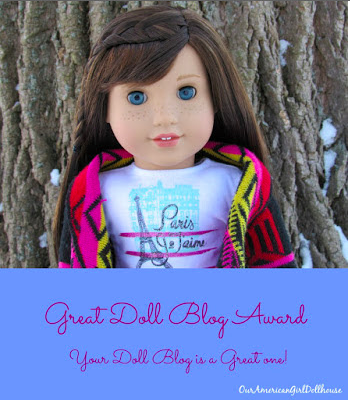 We knew that we just had to get one for my niece for her birthday. 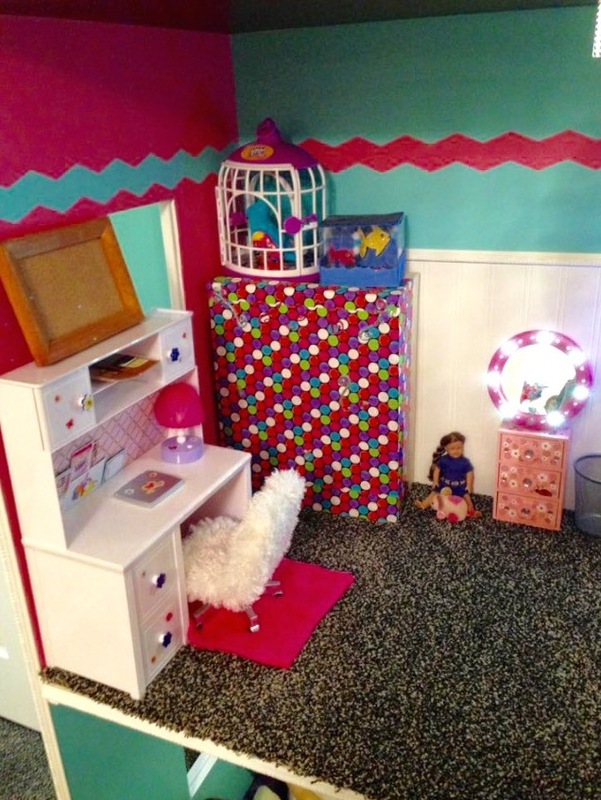 Here is a peek at the completed dollhouse! 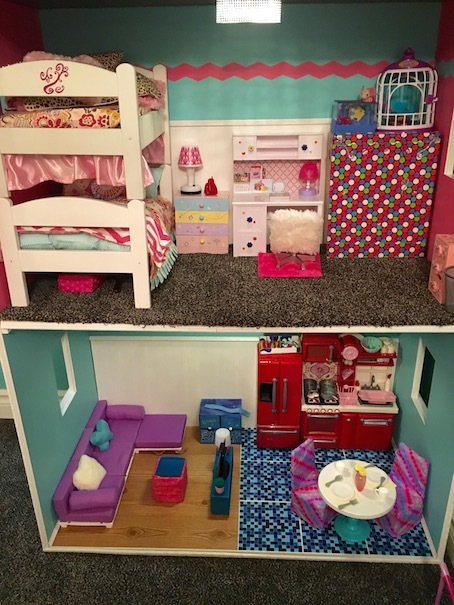 Here are some more pics after my niece decided to do a little bit of rearranging. 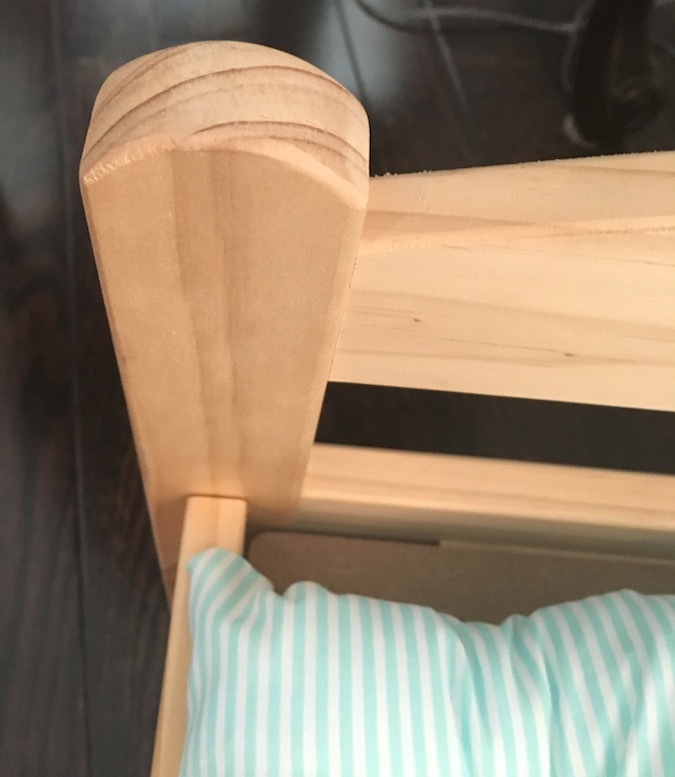 She put the bed on the opposite side so that it wouldn’t block the window as much. 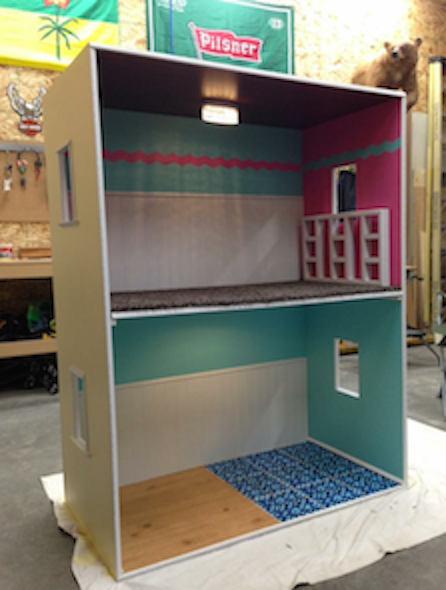 And that completes the dollhouse! Whew did you get that couch? It turned out great! And that idea with the beds is so cool, glad to see it turned out so well. 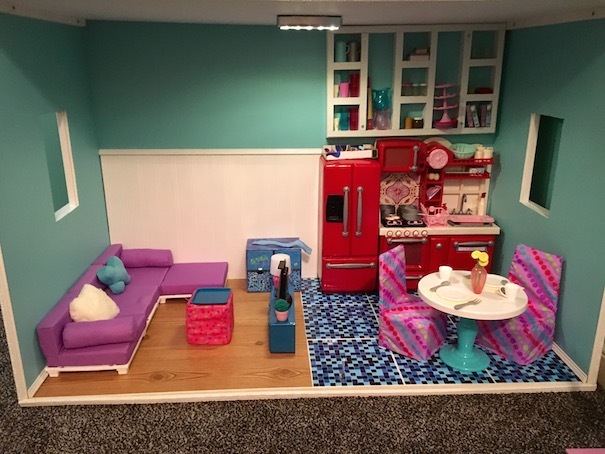 The dollhouse looks amazing! I’m sure your niece loves it. And the MyLifeAs desk looks so neat!